For journalism, for democracy, for good. We think it's time we're incredibly clear about who we are and what we do as journalists, which is why we love our #ThisIsJournalism campaign. 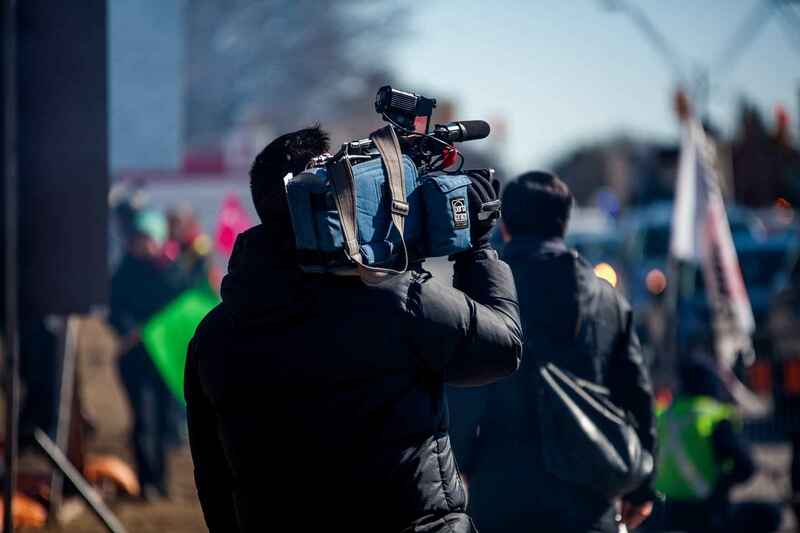 In the face of misinformation, disinformation, confusion and a rhetoric that discredits the press at every turn, RTDNA is here to help share the story of journalism and those who practice the craft with passion, care and credibility. Your generous gift allows us to continue our important work as an association and foundation: providing education around the country to empower more journalists with the tools they need to be successful, awarding scholarships and fellowships to help grow and strengthen the next generation of journalists, recognizing outstanding excellence in journalism with our Edward R. Murrow Awards, and advocating for journalism, the First Amendment, and a free and vibrant press at all levels. RTDNA: Your donation to the association allows us to continue operating as an individual membership association dedicated to supporting, training and advocating for journalists at all levels around the United States. Your donation to RTDNA is not tax deductible as the association is a 501(c)(6). RTDNF: The Foundation provides training programs, seminars, scholarship and fellowship support, and research in areas of critical concern to broadcast and digital news professionals and their audience. As a 501(c)(3) organization, your donation to the Foundation is tax deductible. The RTDNF Endowment: A permanent endowment established to support RTDNF, this fund is building now to protect and support the Foundation well into the future. Donations to the endowment are tax deductible, and those interested in funding at a special level can become part of our Oldfield Circle. Voice of the First Amendment Task Force: By supporting the VFA Task Force, you're supporting a collaborative effort with broadcast and digital journalism companies, like-minded media associations and others to provide a vigorous defense for the First Amendment, news media access and to combat the growing vitriol toward journalism in the current divisive political and ideological environment. Donations to RTDNA are not tax deductible as a 501(c)(6) organization. The RIAS Program: Since 1993, RTDNF has co-sponsored and administered exchange and production programs to give journalists the opportunity to learn directly about Germany's culture, politics and practice of journalism. Donations to the RIAS Program are tax deductible as part of the Foundation, a 501(c)(3) organization. Did you know? You can donate your vehicle, in any condition, to RTDNF. Give us your wheels and help us drive forward! As a board member and former board chair of RIAS, I have been privileged to witness its outstanding contribution to the German-American partnership. The RIAS program has helped many fellow journalists!